Robbie Burns! We had several performances across the lower mainland, and always enjoy this busy time of year. Our biggest performance was at the Delta Police Dinner. 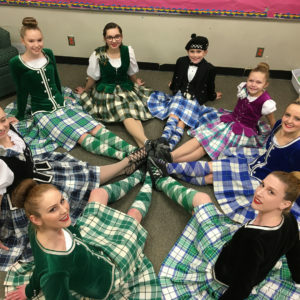 Two sold out nights, the DPD Pipe band, and a lot of fun backstage with our dancers. 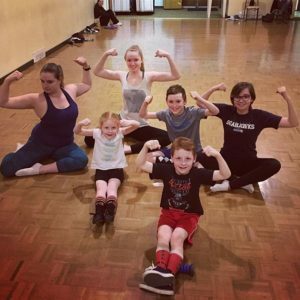 We started our strengthening and conditioning classes, had some gorgeous Valentine’s Day themed dance outfits at practice, and two competitions. 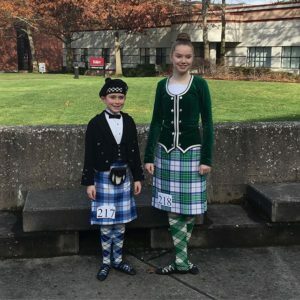 The first championship of our year was held at the Whatcom Community College in Bellingham, WA, and what a day it was! 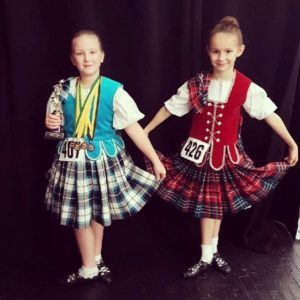 Everyone danced beautifully, and Cooper even came away with 1st place in the Hornpipe! We had two more competitions this month, both of which turned out beautifully as always! 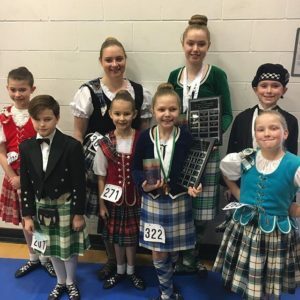 Mackenzie, Alex, and Brooklyn continued to bring home the medals at BCHDA, then Alex & Rylee took off to Kamloops on yet another successful weekend! 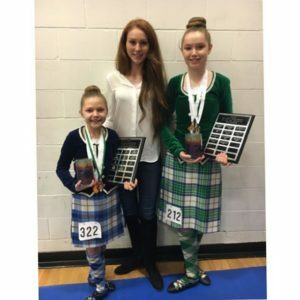 The BC Open Championship & Competition was quite the day! 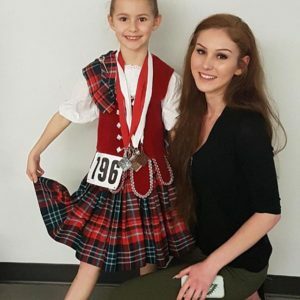 We had first time competitors, dancers in separate locations for the Championship and Restricted Premier (which led to quite the workout running back and forth), and took home a pile of medals. We are all practicing hard for the FVHDA Open on the 28th… can’t wait to see everyone!